Researchers in Australia went searching for a species of mini lobster 150 miles off the coast of Sydney. 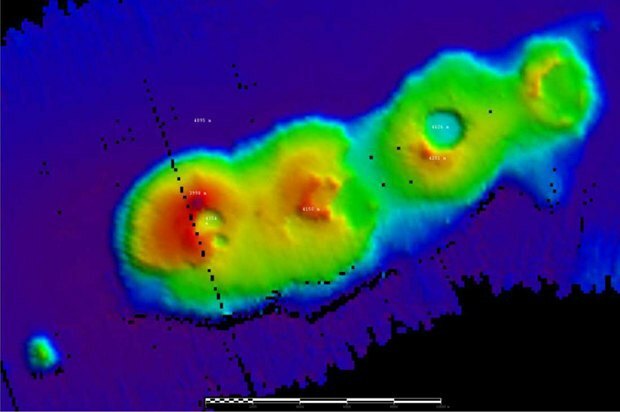 They found four 50-million-year-old volcanoes instead. The largest of the extinct volcanoes is 5,000 feet across and over 2,000 feet tall. "It's ironic that we're about to get the first close-up pictures of Pluto but we had no idea about these beautiful volcanoes just off the coast of Sydney," said marine biologist Iain Suthers who lead the expedition. Uh, ya.